Corpach lies "around the corner" from Fort William, on the north shore of Loch Linnhe at the point where it curves sharply to the west and begins to narrow before widening out again to become Loch Eil. There was a village here by about 1600, but growth had to await transport developments. In 1795 Corpach was one of the first settlements reached by the new road from Fort William which steadily snaked westwards to Arisaig. And in 1803 nearby Banavie was established as a base for the construction of the Caledonian Canal up the Great Glen to Inverness. 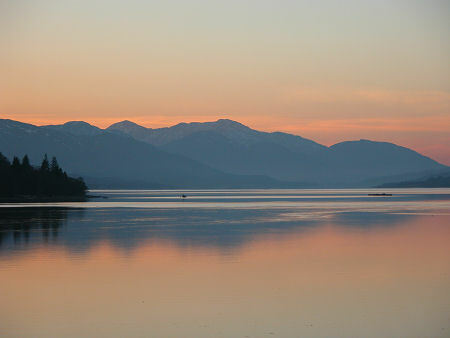 Corpach was where the Caledonian Canal reached Loch Linnhe and the sea. 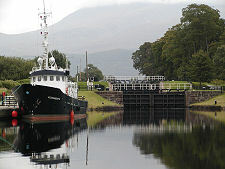 It did so by making use of Neptune's Staircase, the eight locks at Banavie, plus the three locks in Corpach itself. 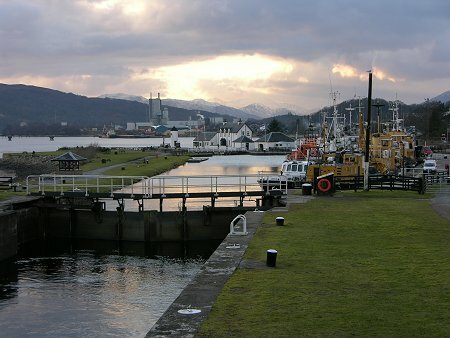 The canal was initially opened in 1822, and by then a ferry service was in operation between the canal basin at Corpach and Fort William. When larger steamers began to use the canal in the mid 1800s to link Inverness with Glasgow, Corpach started to grow as a popular resort. 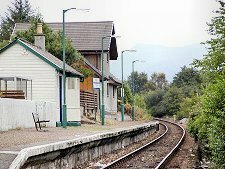 And 1902 saw the railway open from Fort William to Mallaig, with a station at Corpach. 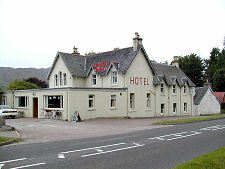 In the Second World War a naval repair base was established at Corpach, and in the 1960s this was redeveloped into a site for the pulp mill that, at its peak in the 1970s, employed over 900 people, provided thousands more forestry jobs across western Scotland, and consumed over 10,000 trees per day. When the pulp mill closed in 1980 some of the demand for timber was maintained through the paper and saw mills established in Corpach. Today's Corpach provides most of what any visitor might need. There is a wide range of accommodation on offer, including hotels and the Snowgoose Mountain Centre, complete with its hostel and self catering accommodation. 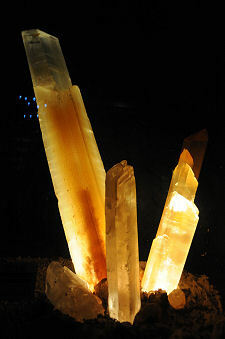 And in the centre of Corpach is The Treasures of the Earth, an excellent exhibition about crystals, gemstones and fossils. 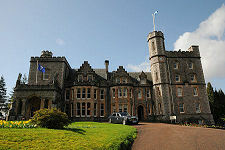 A little to the east of Corpach andf accessed from the A82 is the outstanding Inverlochy Castle Hotel. And while it is not as busy as Fort William and has far fewer shops and restaurants on offer, Corpach does have two large advantages over its neighbour. 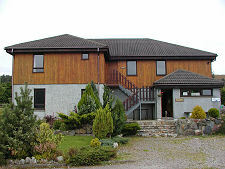 The first is that its frontage on Loch Linnhe is easily accessible and very attractive (and comes complete with the added interest of the entrance to the Caledonian Canal). And the second is obvious when walking the shoreline at Corpach: it offers superb views of Ben Nevis, a mountain largely invisible from Fort William itself.